They live in the darkest of times. As power-drunk clowns cast a shadow of despair across the land, our people cower in tumbledown hovels. The children do not dance and the birds are silent. Hope is crushed. Where are the heroes that this world needs, the heroes that this world deserves? Cast aside despair, people, for the tide will turn! 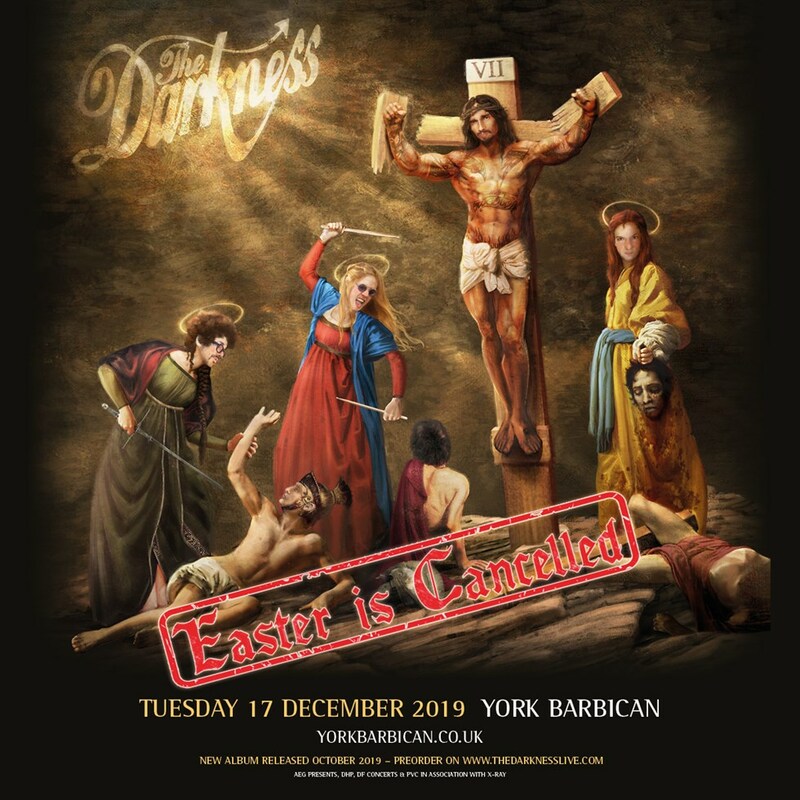 The Darkness men in tight costumes, and are ready to fight with every weapon that our forefathers have bequeathed – the guitar axe, the drum hammer, the bejewelled codpiece, and the banshee wail of righteous anger. And They shall not be cowed by the nay-sayers, nor bought off by the money lenders, nor gagged by the reeking stench of pious indifference that pours from the orifices of the clown-lords. Cometh the day, cometh the band. They are The Darkness and will bring you Light! This is the first day in their new world, and EASTER IS CANCELLED! Let us begin... Death, or glory my friends, which will it be?